Napoli blew the chance to join AC Milan in second place in Serie A on Sunday when they were held 2-2 at home by Cagliari. Daniele Conti scored a stoppage-time equaliser for the Sardinians after Napoli’s Ezequiel Lavezzi thought he had won it with a superb late free kick, leaving the hosts level with Juventus in third place with 24 points from 13 games. Cagliari’s Diego Lopez had pounced in the 66th minute to cancel out Slovak midfielder Marek Hamsik’s early opener. Later that day, aforementioned AC Milan could not do better than a 2-2 draw vs. Torino, and have a bit of the blame to lay on referee Stefano Farina. Torino opened the score through Roberto Stellone, but were overtaken when Pato and Ronaldinho scored one each before the first half ended. Milan then saw a penalty in their favor denied, after a Pratali handball on a Ronaldinho cross, only to have the ref point to the spot on a similar handball situation on the other end. 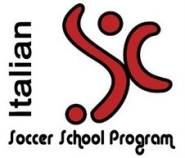 Rosina provided the tying goal for the Granata. Meanwhile AS Roma continued their return to form with a 3-0 win at Lecce. Montenegro striker Mirko Vucinic set Roma on their way in the 11th minute when he ran on to a Francesco Totti through ball and slotted home a diagonal shot, although he would not celebrate scoring against his former club. Brazilian defender Juan knocked in the visitors’ second seven minutes before halftime when the deflection of a Matteo Brighi effort fell to him close to goal. Captain Totti wrapped up things for Roma, who visit Cluj in a Champions League match on Wednesday, with a delightful chip over oncoming keeper Francesco Benussi four minutes after the break. Lazio are joint fifth with Fiorentina, who beat Udinese 4-2 on Saturday, after grabbing a 1-1 home draw with Genoa thanks to Ousmane Dabo’s powerful strike that slipped through keeper Rubinho’s hands 10 minutes from time. Diego Milito had put Genoa in front with his 11th goal of the season in the 69th minute. The Argentine striker had a tap-in wrongly disallowed for offside and blasted a penalty over the bar either side of halftime. Lastly, the match of the week-end was obviously that little Saturday fixture called Derby d’Italia, also the first hand-to-hand combat of José Mourinho vs. Claudio Ranieri on Italian soil. And round 1 went to the Portuguese manager, who thanks to a very well-played game and a lucky goal of Sulley Muntari took a six-point lead on his rival. For summaries of other matches, check out Channel4′s Week 13 page. There’s a few nice goals I could show you this week, such as Floro Flores‘s effort against Fiorentina, or the free-kicks by Ronaldinho and Lavezzi against Torino and Cagliari. With that said there’s nothing like a delicate chipped shot (or cucchiaio) by the one and only Francesco Totti to put you in a good mood. 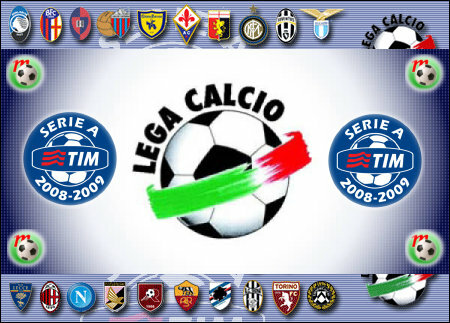 This entry was posted on Tuesday, November 25th, 2008 at 12:03 am	and is filed under Serie A. You can follow any responses to this entry through the RSS 2.0 feed. Both comments and pings are currently closed.